Lexus could be credited for lending a hand in the whole SUV craze that the market seems to find itself in today. It was the original RX SUV that debuted in 1998 that made consumers realize that luxury wasn’t limited to big body sedans. Today, every single premium or pure luxury automaker has an SUV in their line-up. I’m talking everyone from Acura to Rolls Royce. And while the larger luxury SUVs started the whole trend, it’s the compact luxury SUVs that keeping the momentum going. 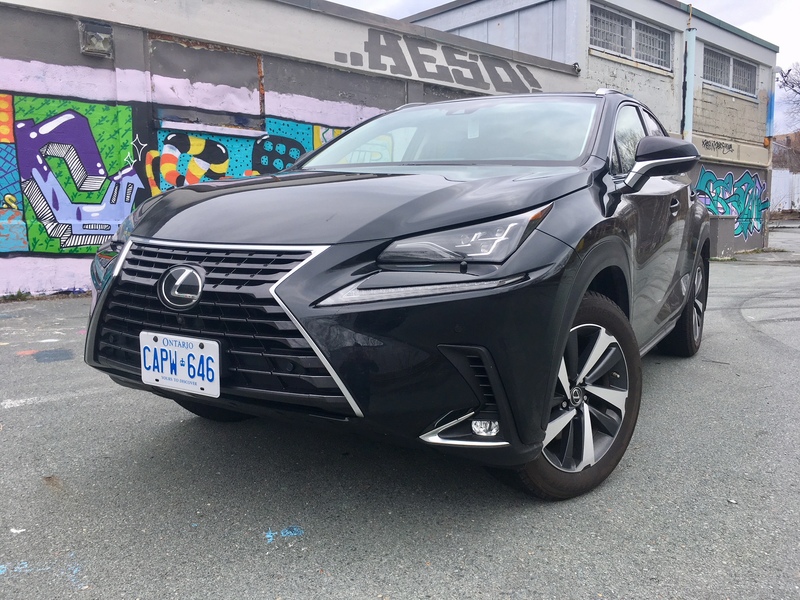 That’s where the NX comes in – a compact luxury SUV that does its best to mimic what the RX offers except for a cheaper price. For 2018, Lexus has made some changes though you’d be hard pressed to notice them – least when it comes to the exterior. They are indeed there though. If you look hard enough, you’ll notice a more pronounced spindle grille, new wheel designs, and elongated tail lights with added LED turn indicators. That’s about it. And I wouldn’t fault Lexus for not making any more obvious changes because it’s clear that this cookie cutter shape works for them. The NX, to the untrained eye, could easily be mistaken as an RX from afar. That isn’t a bad thing, especially if you’re a corporate hack working within the confines of Lexus HQ. Every automaker dreams of having some sort of corporate styling that is instantly recognizable. Though the face of your NX is a bit customizable in a sense. If you opt for one of the two F-Sport packages, you’ll get a larger, more exaggerated spindle grille with black mesh and a more obvious lower lip. 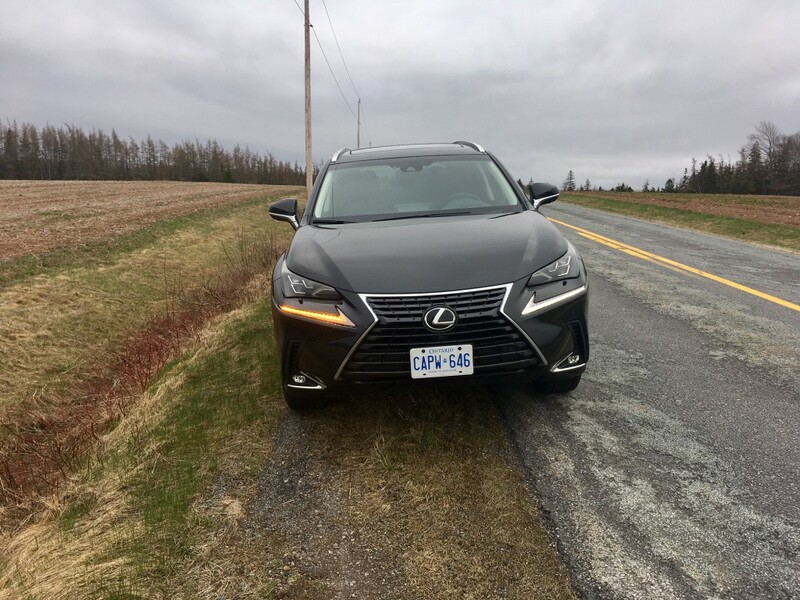 The regular NX without the F-sport package, which my tester didn’t have, gets a grille without any obvious lip. It protrudes inward giving the grille the illusion of floating, according to Lexus. I think it just makes the design look incomplete and accentuates (far too much) the NX’s already pointy looking front nose. Though I suppose if you wanted to do some off-roading, that pointy nose makes for a good approach angle (nearly 30 degrees!) 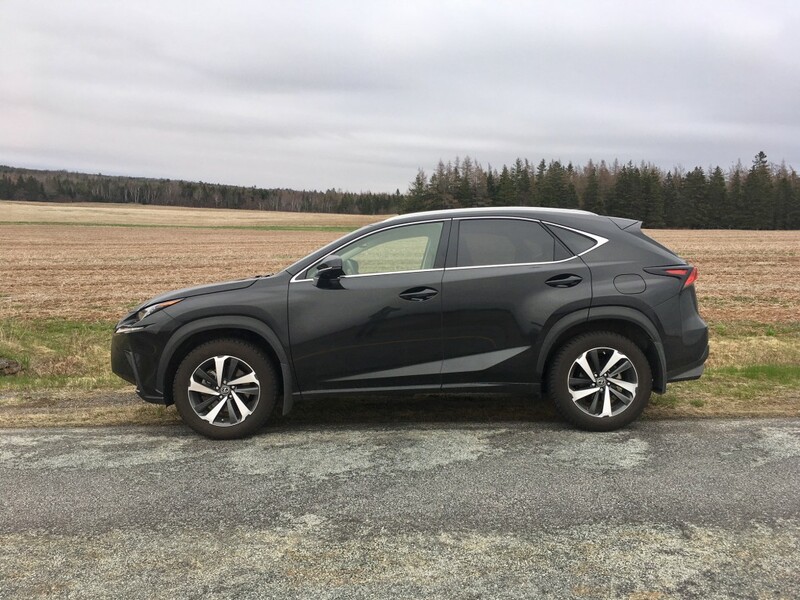 but I would bet a significant amount of money that no NX owner would ever do such intense amounts of off-roading; or any off-roading at all for that matter. Inside, you’ll find a nicely designed cabin with a prominent centre stack that mimics the spindle grille design. New features for 2018 include standard paddle shifters, an eight-inch infotainment screen as standard (a 10.3 inch is optional and was fitted to my tester), along with standard heated seats. Rear seat passengers can have their behinds heated if they tick off the option box for the first time. Otherwise, materials are exactly where they should be for a vehicle wearing the ‘L’ badge. Everything feels premium and everything looks the part as well. 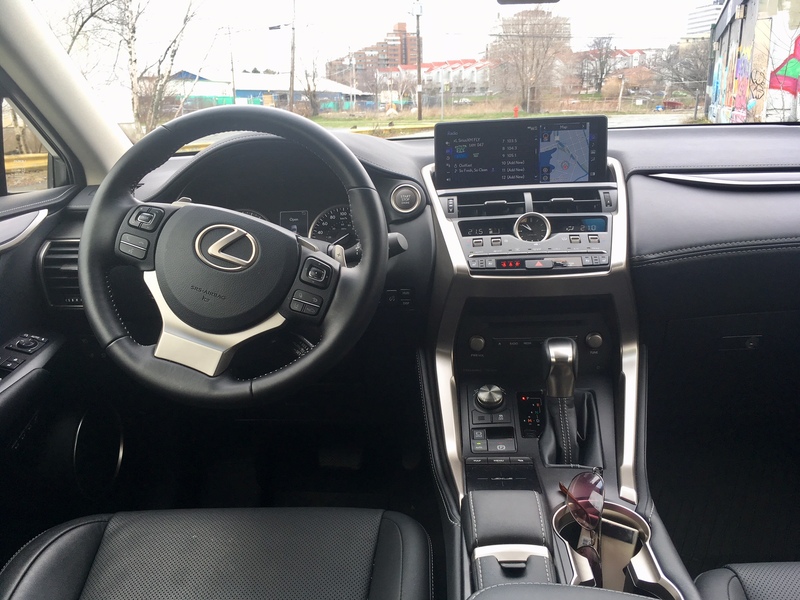 There’s no Android Auto or Apple CarPlay available which is an odd omission within the segment, but Lexus says their own Enform system does the trick just as well as your phone can (try to not roll your eyes). The system itself is obviously not as intuitive as your phone, but it certainly is adequate in its operation and ease of use. That could partly be due to the bigger track pad which is used to control the infotainment system itself. While still not ideal, it certainly is easier to navigate between menu item thanks to its quick response time and capacitive feel each time you use it. Space should be adequate for most. If you’re looking for three rows you’ll have to look to big brother RX, which now has available three-row seating. 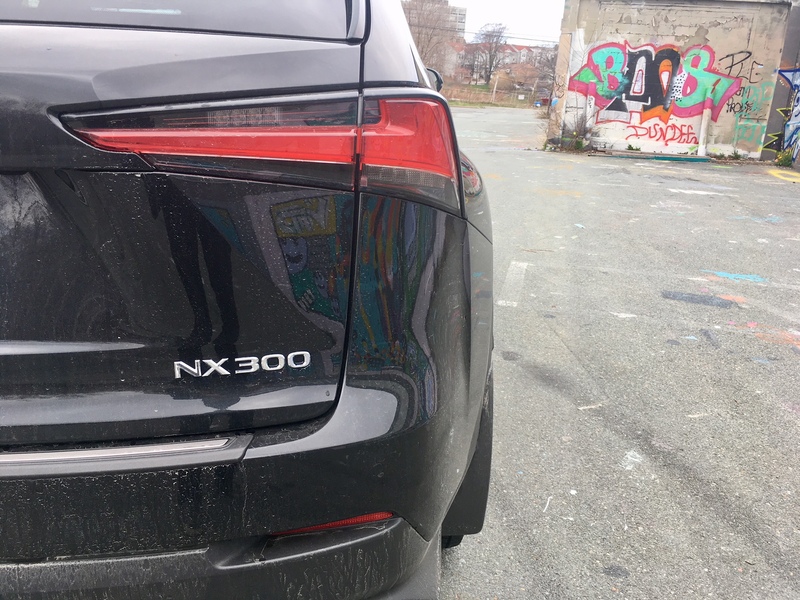 Under the hood of the regular NX 300 (there’s a hybrid version called the NX 300h) you’ll find a turbocharged 2.0 litre four-cylinder which is good for 235 horsepower and 258 pound feet of torque mated to a six-speed automatic. Those sorts of power figures are nothing to sneeze at but it must be said that the NX doesn’t feel particularly fast or powerful. 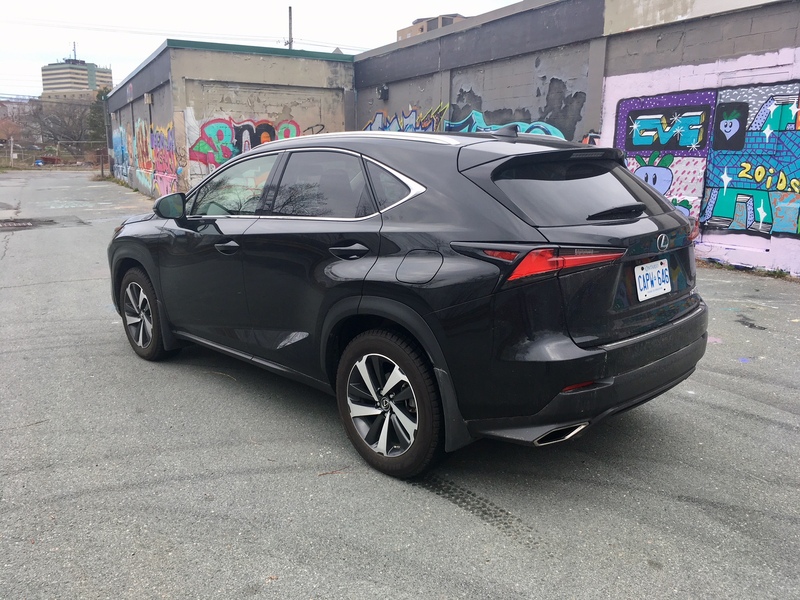 Sure, switching the NX into sport helps (which, by the way, is easy to do thanks to a wonderfully placed dial) but the NX never ever feels brutish. 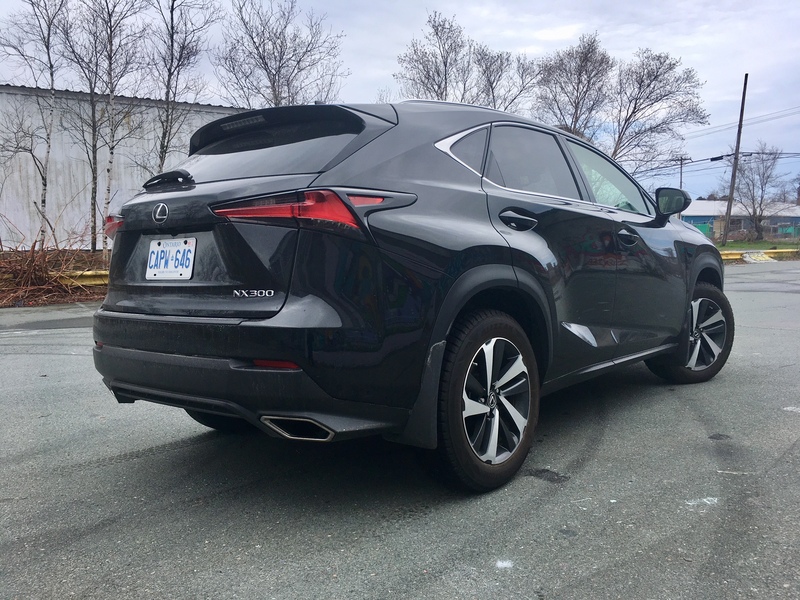 Of course, the NX couldn’t be considered slow, but it just feels as if it rarely wants to do any sort of performance oriented driving. It will it if has to, but it would prefer if you enjoy the way it coddles you instead. 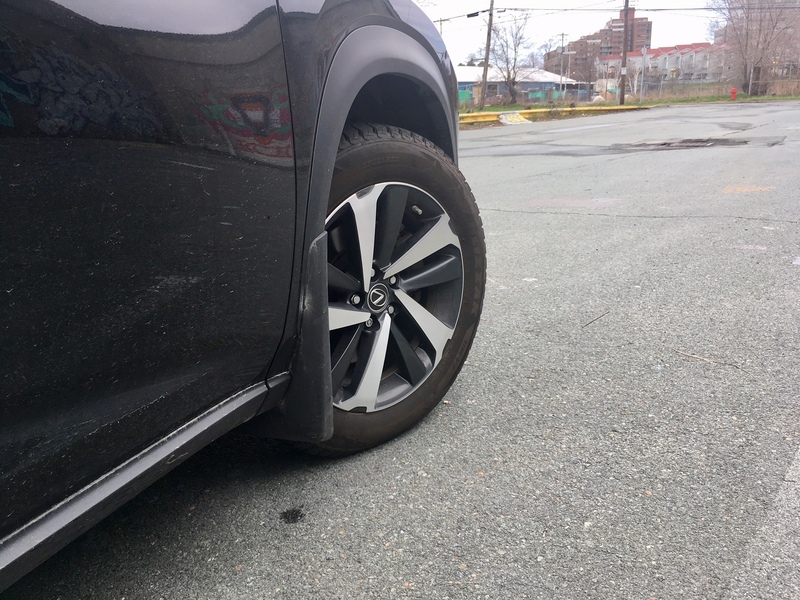 That means you won’t be able to do the sort of cornering you could in say and Audi Q5 or a BMW X3. This isn’t meant to be criticism necessarily, just a different approach. 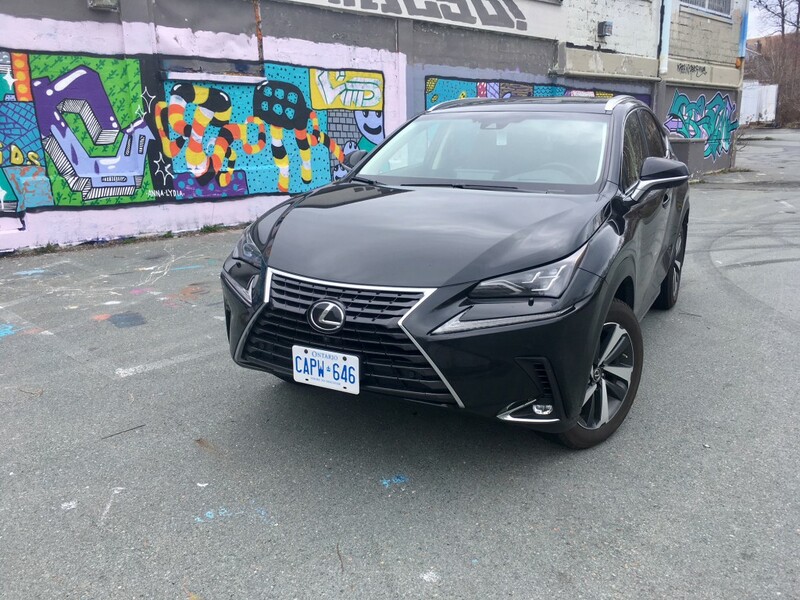 While I prefer the more engaging drive of the BMW and while Lexus has certainly proved over the years that they can hang with the big boys when it comes to performance, the NX will likely be successful simply because it isn’t a brawny corner carver. 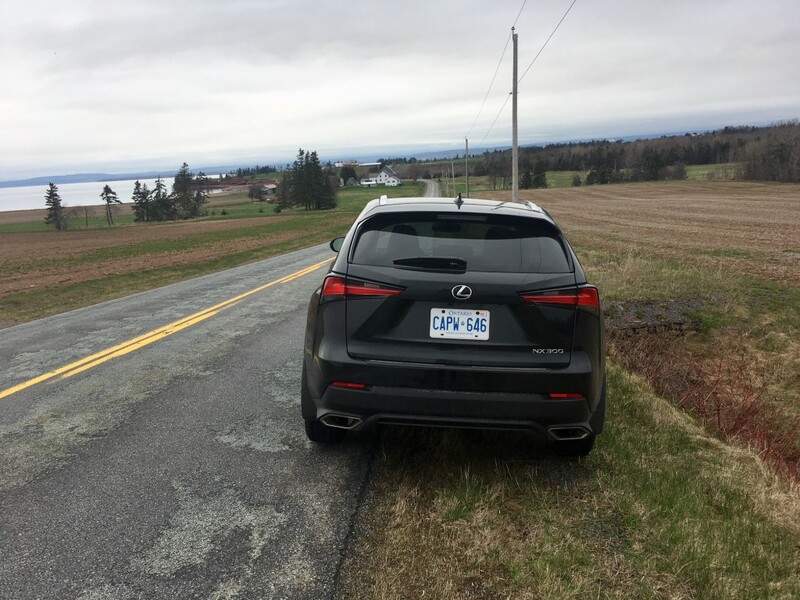 Lexus is more synonymous with traditional luxury than most of the big three Germans and to deviate within this segment specifically would seem to be more of a copy-cat move than a necessary move. Besides, those looking for a bit more charm in the bends can opt for the F-Sport 1 package which is largely cosmetic changes, but it does at least include a sport-tuned suspension. Otherwise, the NX 300 is happy to chauffeur you around with minimal disturbance. The ride is comfortable without being floaty and its ease of operation is near perfect. The steering feel is actually decently weighted and the upgrades to the non-sport-tuned suspension offer a decent level of confidence. The NX wants to calm your nerves, not prod your testosterone levels. Fuel consumption figures come in at 10.6 L/100 kms city and 8.5 highway. In five days worth of city-highway driving, I was able to return 9.6 L/ 100 kms, keeping it mostly in normal drive mode. Not bad. And the NX isn’t bad either, in fact, it’s actually quite good. While it isn’t my personal cup of tea, the NX’s forte’s are obvious. 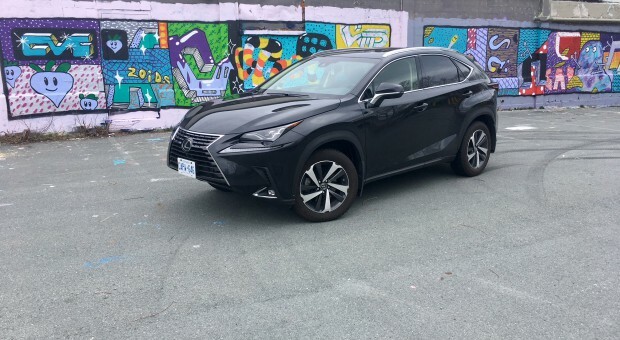 If you’re looking for a quiet, composed, comfortable, easy-going SUV, the NX fits the bill to a tee. If you’d like all that stuff with some added fuel efficiency to boot, the hybrid version gets impressive numbers for a vehicle in this class – 7.2 L/100 kms city and 7.9 highway. Yes, there are more interesting, more engaging offerings in the segment, but the NX captures a significant part of the market that are uninterested in things such as 0-100 times and how much g-force is generated in a corner. In fact, a good portion of the population wants what the NX offers. And that’s exactly why Lexus didn’t mess about too much with it for its 2018 model year refresh. In that sense, one has to wonder what its true competition is and it may lie within the family. The NX is largely based on the RAV4 and while the current version in its most expensive iteration cannot hang with the level of premium that the NX offers, a completely redesigned RAV4 is coming down the pipeline this year. If Toyota does to the RAV4 as it did to the Highlander (that is, to make it as premium as you can get without a premium badge on the grille), the NX could find itself in a bit of a sales spat with cousin RAV4. Until then, the NX remains a competent choice within the segment. Just don’t expect it to win any drag races.